Fondant rose is very easy to make, and can be used in many occasion, ^^. You can use marzipan or molding chocolate too. Roll the 1 piece of the fondant into tall cone with narrow tip. 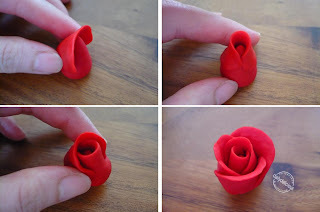 Flatten the small ball of fondant to make the rose petals. 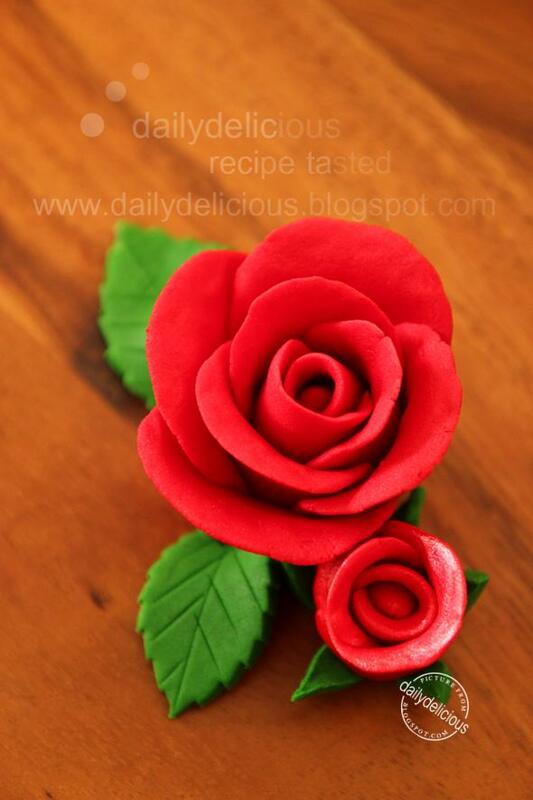 (Keep the rest of the fondant covered at all time to prevent it from drying out). Warp a petal completely around the cone with the upper edge of the petal flush with the top of the cone. 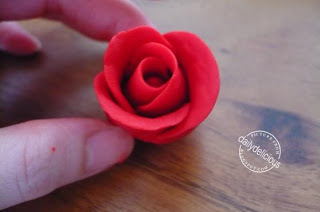 Attach another petal around the cone positioning it at the exact height of the center tip. Fold part of the petal back. 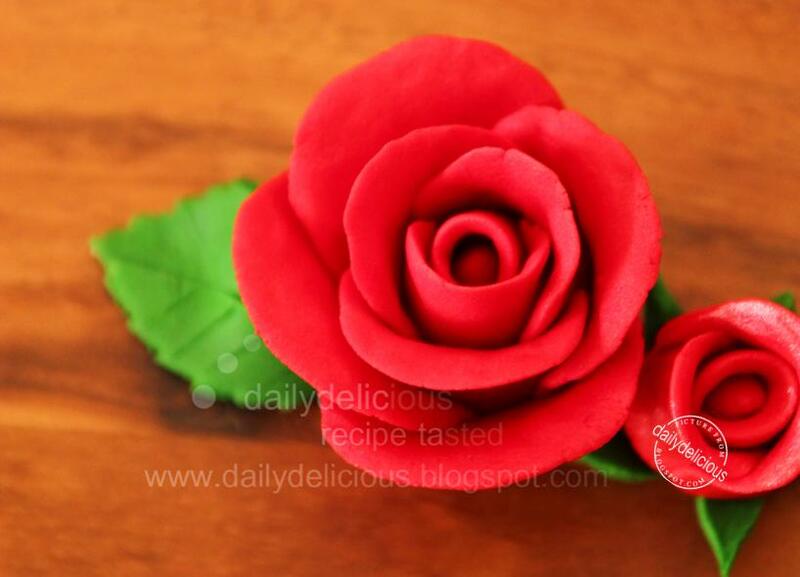 Attach the next petal, overlapping the previous petal. Continue adding petals until the desired size rose is obtained. hello (: can i check with you how should i store it if im making it 2 days in advance? Yes, just keep it in the airtight container. Are the petals of different sizes? Yes, the petals will larger on the outside as the real one.